Spring 2014. 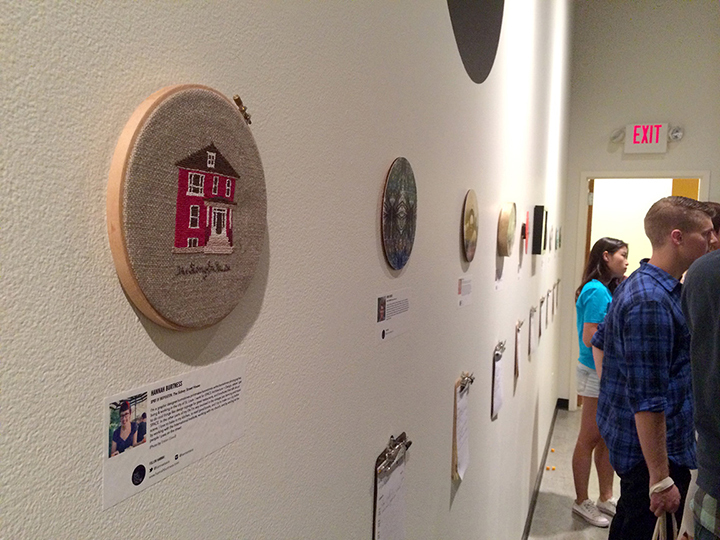 Made for The Dot Show during STL Design Week. 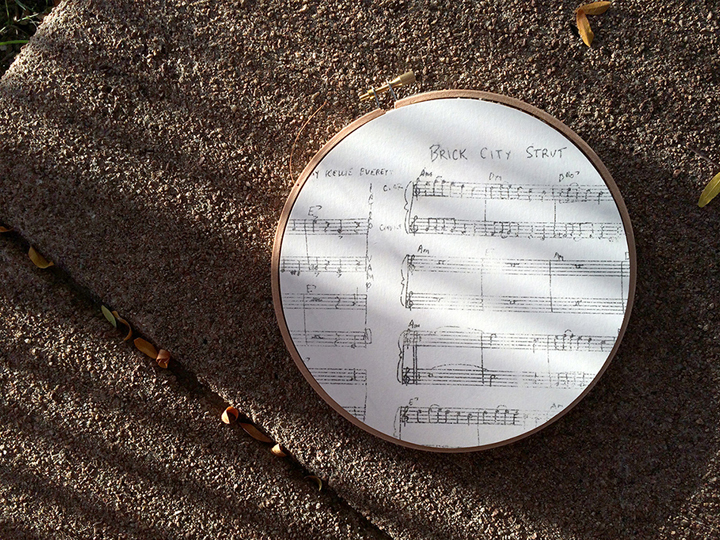 The prompt was to create a small composition (on a provided 7x7" wooden "dot") that pays tribute to one specific location in St. Louis: the place where you find inspiration. 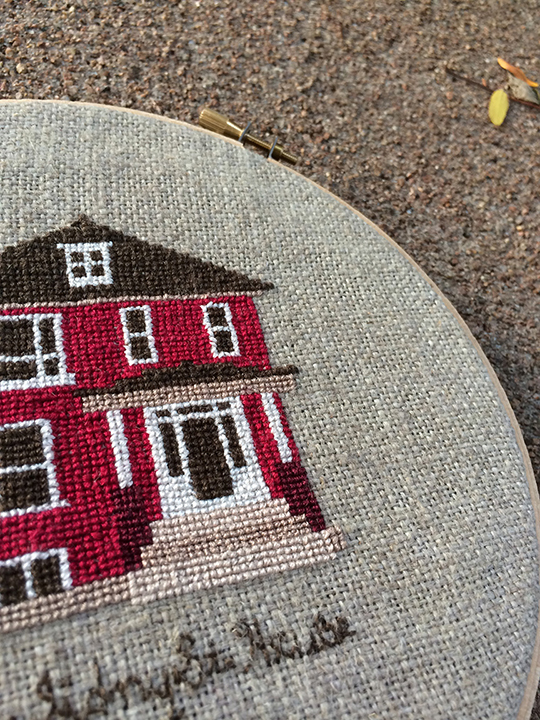 I created a cross-stitch pattern and crafted a piece of embroidery of the house that I was living in at that time with a cast of friends in Tower Grove East, South City, St. Louis; elevating a current lived-experience to the representation of a historical building. My dot represents all of the beautiful red brick beauties that populate this city, as well as the history and experience of St. Louis jazz and blues music and dancing. The music and dancing were the lifeblood of our house and our close-knit friend group who found each other through this house and stay connected to this day. 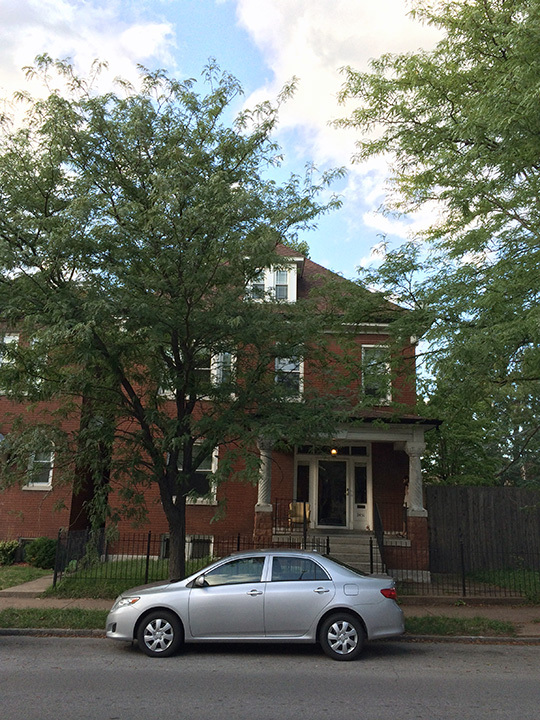 The Sidney Street House was my inspiration for a lot of growth, change, and an abiding love for St Louis. 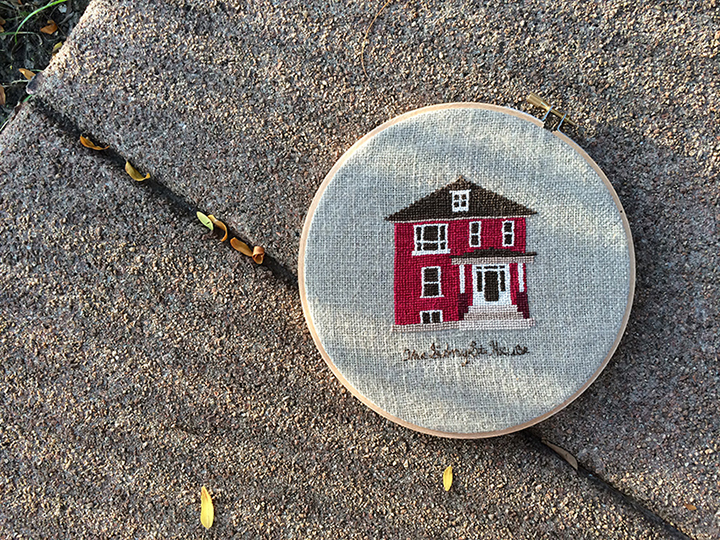 On the back you'll find the notes of a jazz piece composed by Kellie Everett of the Sidney Street Shakers, a band that started in the living room of the Sidney Street House.